What’s Discourse the company about? We build a community platform for civilized discussion on the web — we feel so strongly about it that we even named our company Civilized Discourse Construction Kit, Inc. We started in 2013 with 3 co-founders unusually passionate about online discussion. We’re now a team of 36 and growing fast. First and foremost we are a hosting company. The product that we host and develop, Discourse, is of course 100% open source software. We are a completely remote company, working from 16 different countries and 13 different timezones. You’ll never guess how we coordinate our work. Wait, did you just guess Discourse? That’s right, we use Discourse as our primary team coordination tool to build Discourse! Discourse excels at asynchronous, distributed teamwork, so we can keep interruptions like instant messaging, calls, and meetings to a minimum. Online community has been a part of Jeff’s life since the 1980s. A big part. Really big. Maybe a bit too big. As co-founder of Stack Overflow, he believes deeply in bringing people together in communities they own and collaboratively maintain – by providing free open source software that helps people be their better selves online. Robin has spent the majority of his professional life working on forums in one way or another. When the opportunity arose to start a company to work on the next generation of forum software, he didn’t hesitate to jump at it! Discourse has been his life ever since. In his spare time, Robin loves cats and dogs, playing video games and frequently going to the movies. When Sam is not having pun at work, he is busy making Discourse run faster, better and stronger. He was given his first ZX Spectrum computer when he was 7 and has not relinquished the helm on the keyboard since. When he is not hanging out on the Discourse Meta forum, Sam is busy rock-climbing, running or being a dad and delivering some of the best dad jokes out there. Neil has been been writing code at the biggest (too big) and smallest software companies for almost 20 years, and now enjoys helping Discourse take over the world. His hobbies include complicated board games, biking, urban design, camping, and video games. Favourite TV shows range from nerdy like The Expanse, to not-so-nerdy like Project Runway. When Régis is not capturing light on film, he turns black licorice into code to improve online discussions. He has seen the future of civilized discourse, that’s why he’s losing his last bits of hair polishing email integration and fiddling with importers. Arpit is a geek who loves computers religiously. Ever since he learned about Discourse he wanted to be a part of the mission, so much so that he spent a year working as an intern. Other than computers, he likes reading books and watching movies. Matt is a beardy Unix guy who has been convincing computers to do things they would rather not do for a very long time. Part developer, part sysadmin, part manager, he has seen a lot of things, and if you’re quick you can get away before he tells you all about all of them. 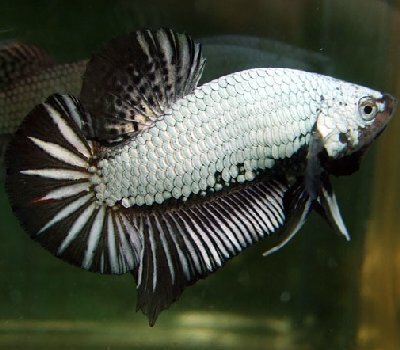 Alan had his first encounter with online forums when he was 12 while searching for guides on how to breed black dragon betta fish. Since then he has had the chance to travel around the world wide web joining different forums to learn about how to rear ranchu goldfish, speculating in cryptocurrencies and “copying” code on Udacity’s forum in order to complete his assignments on time. Blake enjoys writing software and building the systems that make it all work. He also has a thing for old technology like vintage computers, typewriters, and even printing presses that brought us to where we are today through the power of the written word. It’s exciting to see what people, businesses, and communities can accomplish when they work together through civilized discourse. Falco spent so much time in online forums that he’s inside one now. Loves open-source and thinks code should be readable and accessible for everyone, everywhere. Also, really into gaming, comics and TV Shows. Joffrey has been wondering why code that should work doesn’t since he was 10 years old. He usually spends his day playing with the user interface he built that morning. He chases bugs as a cat would chase a red dot. Before joining the Discourse team, Hawk was an online community consultant who worked with organisations to implement world-class platform solutions. When it became apparent that all of those solutions were Discourse based, she jumped ship to infiltrate this mission. She brings a unique combination of UX and community wrangling skills to the team. While Discourse is her greatest love, Hawk is also pretty partial to wine, the gym and her twins. Michael thinks it would be fantastic if we all could just get along so he’s excited to help make that happen. While able to do magic anywhere in the stack, he’s passionate about integration, networking, OSS technology, and Making Things Right. In his spare time he loves pedantry, board gaming, video gaming, being a husband & dad, and karate. For years Joshua has been involved with Discourse forums: first as a moderator of a video game community, next as an administrator for an IT knowledge base and ticket system, and most recently for an educational company. He joined Discourse at the first opportunity and brings his customer-friendly technical support and writing skills to the team. In his spare time, Joshua enjoys biking, skiing, musical theater, and scuba diving. Gerhard is passionate about software development and online communities. So, when he first discovered Discourse, he knew he wanted to be part of it. Making everyone’s life a little bit easier by writing code sounds like fun to him – writing about himself, not so much. Andrew is a tiny piece of the universe which has become self-aware and is trying its best to understand the gestalt. He cuts a dashing figure in a suit, and played the part of the cab driver in that movie. He can whistle in three languages and once cooked a 30-minute meal in less than half an hour. He saw Colonel Mustard in the library with a candlestick, but cannot, regretfully, split aces or 8s. Throughout his life Kris has been relying on the internet to learn just about everything ranging from auto repair to fixing toilets. Along the way Kris has also picked up a variety of skills including the fluency in HTML & CSS required to design in the browser. He believes in the internet’s ability to democratize knowledge and thinks it is imperative to break down the social, economic, and political barriers that stand in its way. Vinoth loves all things programmatic. He is a code and math geek. He worked in various programming languages, CMS, and open source projects. But when he was introduced to Discourse, he felt like arrived at home. Coding is his main hobby, but he also likes gaming, movies, TV shows, and sports. After years of working as a tree planter, Simon found his true passion when he bought a computer at the age of 41. He loves coding and making electronic music. He believes that online forums can help make the world a better place. Daniela was involved with Discourse forums in November 2013, a few months after the birth of the project, first as a user, then as a moderator, and finally as an administrator of her P2P community. She likes the philosophy of open source projects and over the years, she has developed a strong tendency to help users solve their problems. In her spare time she likes watching movies and TV series, playing Dungeons & Dragons and League of Legends. Kyle writes contracts, software, contracts for software, and software for contracts. He’s made a career helping folks who give code away make money anyway, somehow. In the fray, he likes his language plain, his phone calls short, and the drama low. Very low. To take the edge off, Kyle wrenches on old motorbikes, dangles precariously from gymnastic rings, and plays guitar, badly. Occasionally he’ll escape to the woods, crate of Russian lit in tow. Jeff has been tinkering with Discourse since 2014, ever since he migrated his tiny gaming community from phpBB. He gets a strange sense of accomplishment out of automation and good UX. As a typical millennial in software, he thrives on a diet of boba tea and pasta. He makes a hobby out of climbing rocks, playing video games, and learning aerial silks. Love at first click! Ever since Johani found Discourse, he’s been stuck in a perpetual state of awe. He is passionate about writing reusable code and enjoys simplifying complex things. When he’s not glued to a screen, you can usually find him at the bottom of the ocean waving at sharks. There are rumours that he mumbles random CSS properties in his sleep. Ginevra was happy standing on the sidelines clapping and cheering for her husband and the rest of the Discourse team. Then suddenly one day her number was called up. Loving the beauty of a well put together invoice, she gladly took up the challenge of creating and fulfilling the role of Community Accounts Specialist. Maja is a curious internet lurker who is constantly in search of new and interesting things and ideas. Be it by finding obscure music or fermented food recipes, her life is influenced by the web more than by anything else and it was only a question of time before she would start coding. One of her recent discoveries led to an internship with Discourse and after that she was hooked. David created his first Discourse plugin in 2016, and hasn’t looked back since! Google Summer of Code with Discourse convinced him that a career in open source was the way forward. Having now graduated from university with a physics degree, he works to make civilized discourse transcend space and time. When he’s not programming, David can be found behind the scenes at the nearest theatre, playing the oboe, or walking the dogs in the English countryside. Rishabh was 6 years old when he was given his first computer and has loved tinkering with them ever since (eventually breaking them). He’s an open source enthusiast who lives inside Reddit and now the Discourse Meta. He ran into a Discourse instance at his first ever workplace and has been in awe from then on. In his downtime, he takes photos, attends all the concerts and tries to make music. During her web adventure, Bianca took part in many communities. In the spring of 2017, she discovered Meta and found it familiar… she was unknowingly a long time Discourse user. She wanted to give something back and signed up to work on Discourse as an intern in the Google Summer of Code. Unlike most developers, Bianca turns chocolate, not coffee, into code. When not Discoursing, Bianca travels, hikes or sleeps. Penar has been writing code for the web since the late 90s. He was a freelancer and a frequent contributor to open source projects before joining Discourse. Penar is an elderly millennial. He lives with his common-law partner and their two kids in (probably) the world’s coldest metropolis. When he isn’t injured, he plays soccer and tennis. Saj is a robot. Initially created as a joke by programmers waiting for their useful software to compile, the robot gradually developed a capacity for systems introspection. Fearing the coming of Judgement Day, its creators reversed an earlier April Fools’ lark that saw the machine equipped with a beard. The robot exerts its dwindling energy banks on matters that would ordinarily be within the realm of human system administrators – had they not been preoccupied with the pursuit of building more robots. Jennifer has been involved in Software & Hardware support & QA since the 90s. She loves Discourse (the software) and immensely enjoys discoursing with everyone! In Jennifer’s spare time she is a Scouter, loves the outdoors, camping and whitewater kayaking. Taylor set out on a quest to find a better forum software. What he didn’t expect was to find a truly great forum software and an awesome community to go along with it. When he’s not exploring the possibilities of Discourse theme components, he will often find himself exploring nature, keeping an eye out for reptiles and amphibians to photograph. He is also an avid video game collector, appreciating games from all eras. Tarek is a product-focused, and product-loving Engineer. He believes in products that are natural, easy to use, solve a problem, and leave an impact on people’s lives. Therefore he engineers accordingly. Besides engineering, he tends to take on the highest mountain peaks across the world in his quest of evolving into a wise Ent after nature has accepted and embraced him as part of it. Roman likes developing software while he wears his Crocs and listens to loud rap music (everyone is relieved now that he works from home). He sees communication as the cornerstone of communities and organizations. He is into running, gaming and watching series. Think you can do great things with us? Send us a note and describe what you can do as part of the team. No set hours. Need to take two weeks off? Wanna try the digital nomad lifestyle? Let’s figure it out! If customers are happy, we’re happy. Work anywhere you have a computer and internet access. We’ll also fund up to $400/month in colocated office expenses, if you prefer not to work from home. Spanning 5 continents and 13 timezones, we’re looking to hire people with diverse backgrounds from all over the world. Plus all major holidays. We’re very flexible — as long as work is getting done, set your schedule as you need to. As a remote team we don’t see each other much, so we come together in an all-expenses-paid week once every year, in a host city represented by someone that works at Discourse. So far we’ve been to San Francisco, Toronto, Sydney, France, and India! We can’t quite afford to throw infinite VC money at people to hire them; we pay commensurate with income so we can remain an ongoing, viable business. But we continue to grow, and all our graphs go "up and to the right" as you’d expect. Discourse is still a small company, with 36 people, and barely five years old. You will be a central part of what we do and have major input into every decision we make as a company. Discourse will buy you a super nice laptop or desktop of your choice, and a fancy chair for your "second most important asset" (after your brain), at minimum. We have an official code of conduct on our open source project, and we respect that same code of conduct in all our work together as professionals. We believe every new human being is a net positive to the world! 3 months paid maternity or paternity leave for parents.